The José Bonifácio Cultural Center has been a hub of Afro-Brazilian culture for decades. 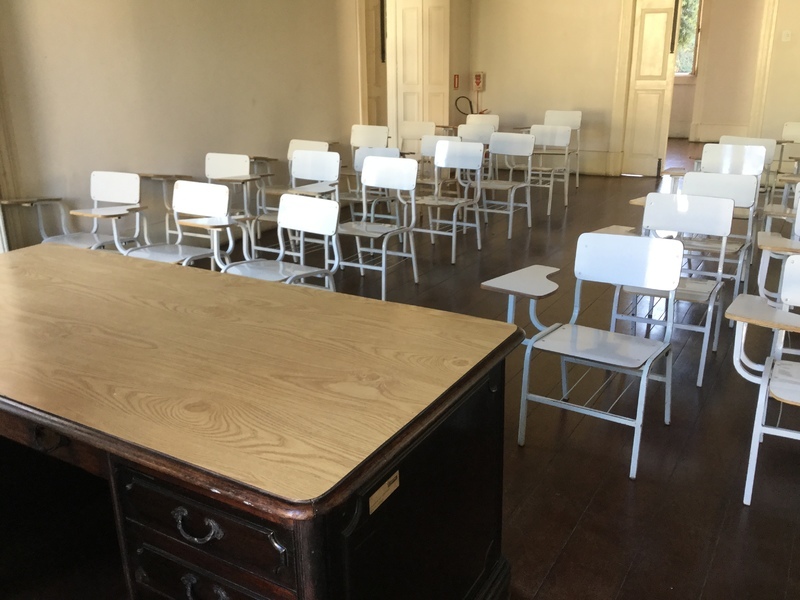 Originally constructed by order of the Emperor Dom Pedro II as part of what was known as "the Emperor's schools", it was the first public high school in Latin America. Opening its doors in 1877, the school served the port zone community which was, due to slavery, predominantly Black and poor. Slavery would not be abolished until 11 years later, in 1888. 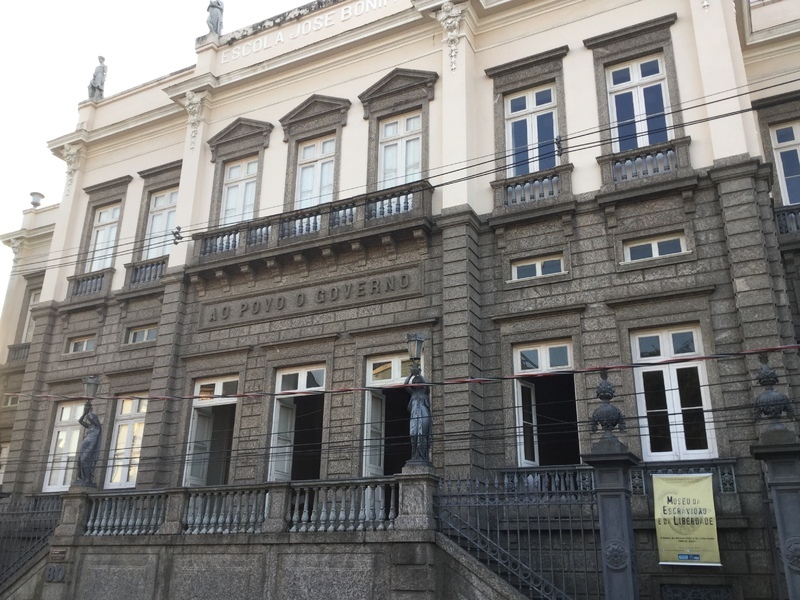 One hundred years later, in 1977, the school was closed and converted into the Gamboa Community Library and in 1986, it became the José Bonifácio Cultural Center. The Center was renovated in 1994 and again in 2013. The space boasts 2356 square meters, 3 floors, and 18 different meeting rooms. 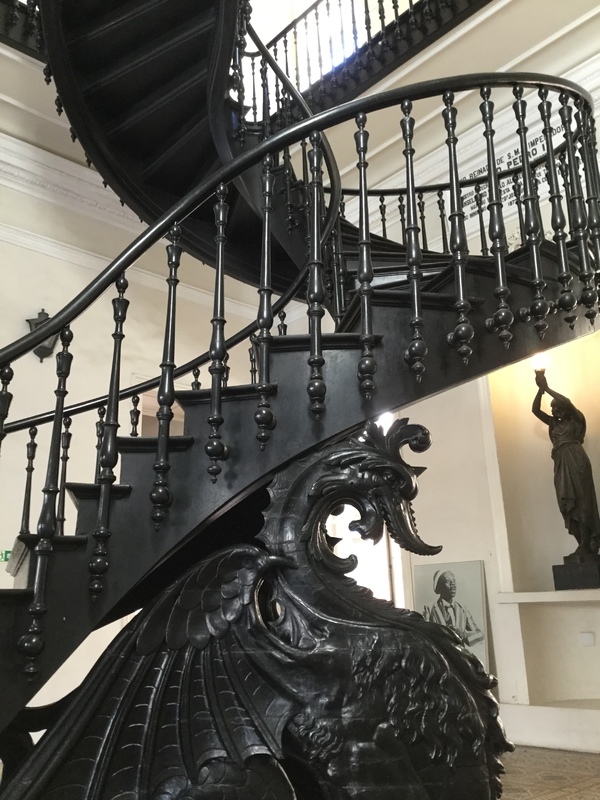 Today, the Center is one of the main sites being considered for the proposed new Museu da Escravidão e da Liberdade (The Museum of Slavery and Liberty). Unfortunately, the new museum proposal is quite controversial. While the law has been passed for the creation of the new museum, there is no projected opening; it exists on paper. Debates are ongoing about the name of the proposed museum, given that the acronym with be MEL--the Portuguese word for "honey". A lot of Black folks don't so much care to have a slavery museum that will be popularly known as "The Honey"! Some object to a museum dedicated to slavery and would much rather see a project dedicated to African and Afro-Brazilian culture. Still others support the idea of the project, but are opposed to the current administration being competent or appropriate for the task. Major museum projects often turn into grand white elephants through which obscene amounts of money have been known to disappear. The outcome of this proposal remains to be seen. 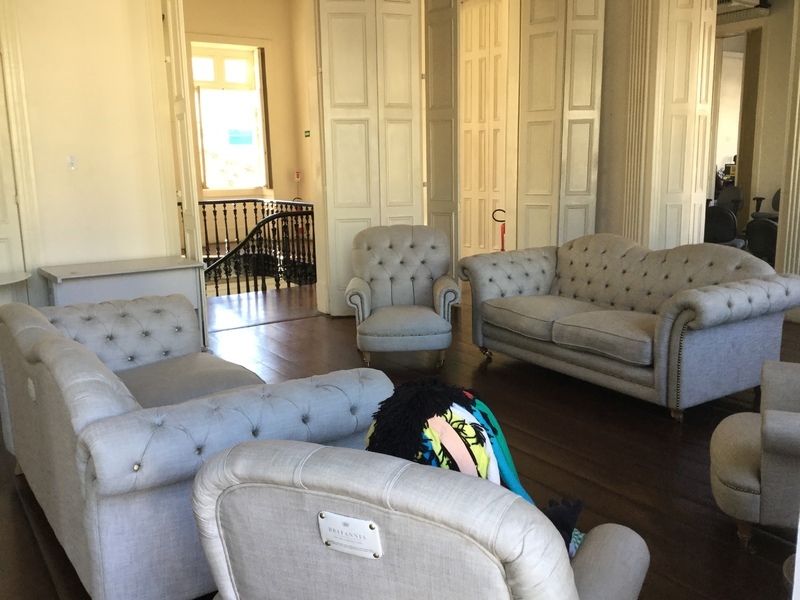 UPDATE: The MEL (The Museum of Slavery and Liberty) is now called the MUHCAB: Museu da Historia e da Cultura Afro-Brasileira (The Museum of Afro-Brazilian History and Culture) and is housed at the cultural center. The first public high school in Latin America opened its doors in 1877 in Rio de Janeiro. 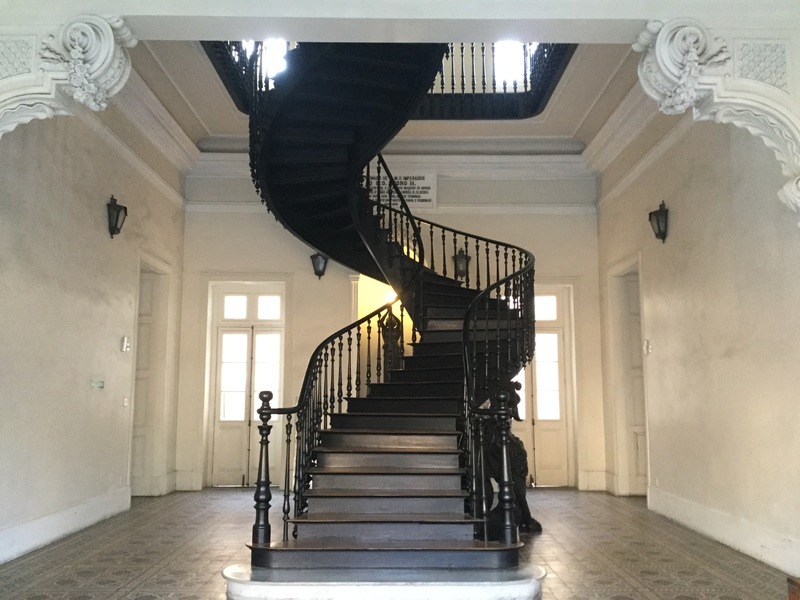 Sadakne Baroudi, “José Bonifácio Cultural Center,” Afro-Rio Walking Tour, accessed April 26, 2019, http://afroriowalkingtour.com/items/show/43.